Whether you are a history buff or a train enthusiast, the Allegheny Portage Railroad National Historic Site is a must-visit. As one of the national park service sites in Pennsylvania, it is governed and managed by the US NPS. This site showcases the railroad history of the nation, which commemorates the Allegheny Portage Railroad (the first railroad ever constructed within the Allegheny Mountains). The railroad is built on an inclined plane somewhere between the early to the mid-19th century. During that time, the railroad was considered a technological feat. The railroad opened up channels for trade and settlement in this part of the United States. This 70,000-acre property is one of the national park service sites in Pennsylvania and was established to preserve a protected area near the Delaware River. This site is located somewhere between Pennsylvania and New Jersey. A 40-mile section of the Delaware River is included in the national recreation area’s premises and is also granted protected status. The national recreation area was established in 1978 and offers both cultural and historical sites. Meanwhile, the Native American archaeological sites are probably the one that garners the most interest. For those who are into outdoor recreational activities, there are plenty of options in the property such as hiking, swimming, camping, cycling, canoeing, and picnicking, to name a few. This historic site is focused on preserving a home that was once rented by the famous American author, Edgar Allan Poe. The house is located in Spring Garden, Philadelphia. Aside from this house, Poe lived in Philadelphia for a long time. This house is the only one that survived out of all of them. The original house was built in 1842 but the site was listed into the National Register of Historic Places in 1966. This property encompasses a home and farm in Adams County, Pennsylvania. The house and the farm are important because this is where the 34th US President Dwight Eisenhower lived for many years. The entire property consists of over 690 acres of land area and served as a retreat for the President for the weekends. Meanwhile, he also hosted several other leaders for a meeting in this farm. When Eisenhower ended his term as a President in 1961, he lived in the house and farm. This unit of the National Park Service is located in Chadds Ford, which was initially designated by a national monument by President Barack Obama in 2013. It was later elevated into national historical park status by the Congress. The property covers the early colonial history of Delaware and how it played a role in the establishment of the nation, which led to it being named as the first state. It follows the story of early settlers such as Swedes, Finns, Dutch and English and how they interacted with the Native American tribes. This national memorial site is also the same crash site of United Airlines Flight 93 that was hijacked during the September 11 attacks. The site of the crash is in Somerset County, Pennsylvania. The memorial was established to honor the memory of the passengers and crew of Flight 93, who fought the hijackers in order to prevent the terrorists from reaching their target. A visitor center was established in September 2015. It is located on a hill with an overlooking view of the memorial site. Within the memorial site is a white marble Wall of Names for all of the victims. Both the visitor center and the memorial site are beneath the path of Flight 93 when it crashed on the area. Located in Fayette Country, this battlefield site is one of the national park service sites in Pennsylvania. The property aims to preserve the site of the Battle of Fort Necessity that took place in 1754 between the French and Indians. Also included in the site is Mount Washington Tavern, which is located along the National Road. The site was established in 1931 but it wasn’t until 1933 when the National Park Service managed the site. This is another site maintained and managed by the National Park Service. It was the home of Albert Gallatin, who is an early American politician and statesman. He served as a Secretary of Treasury under two Presidential terms. He also served as an ambassador to other countries such as France and Great Britain. There are several sections that make up the house. The original Federalist-style brick house built in the 18th century is the primary feature of this historic site. In 1798, a simple frame dwelling was constructed as another unit of the brick house. Other structures followed namely the Stone House, a three-and-a-half story structure, a stone kitchen, State Dining Room, and servant’s quarters. The Battle of Gettysburg is written a lot about in history books. Hence, this site is one of the most important sites during the American Civil War era. Named as one of the national park service sites in Pennsylvania, Gettysburg National Military Park is located in Gettysburg, Pennsylvania. There are several properties included within the park such as Gettysburg Battlefield, Gettysburg National Cemetery, Gettysburg Museum and Visitor Center, and several other non-battle areas. The park receives more than 1 million tourist visits each year. In 1915, a school for licensing tour guides to Gettysburg was established. Located in Elverson, Pennsylvania, this historic site is preserved as it is believed to be the best example of a rural “iron plantation” in America. It has been around since the 19th century and is comprised of many buildings such as the blast furnace, ironmaster’s house, blacksmith shop, workers’ houses, and many other auxiliary buildings. Hopewell Furnace was established in the late 18th century by ironmaster Mark Bird. It was from 1820 to 1840 when this site experienced a major boom, particularly due to the American Civil War activity. By the mid-19th century, newer methods of ironmaking were introduced until the methods used by Hopewell Furnace were rendered obsolete. In 1883, the site was no longer in operation. There are several sites included in this listing for national park service sites in Pennsylvania. 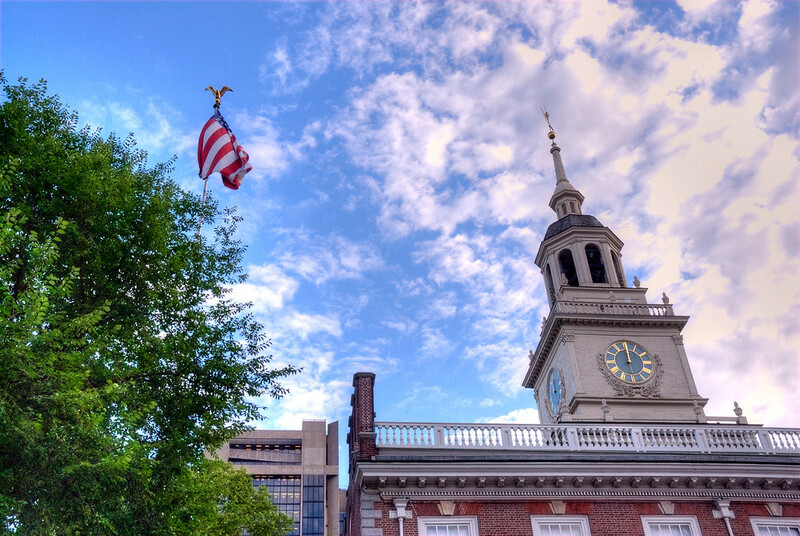 The Independence Hall, a UNESCO World Heritage Site, is the main feature of this historical park. This is where the Declaration of Independence and US Constitution were established. Aside from the Independence Hall, the Liberty Bell is another important feature of this historical park. Other historic buildings found in the park are First Bank of the United States, Carpenters’ Hall, and the City Tavern (which is a recreation of the colonial tavern that delegates from the US Congress frequented during the 18th century). This site was established to commemorate the 2,200 people who died during a flood in Johnstown, Pennsylvania. The site was established in 1964 and covers more than 164 acres in land area. The flood took place in 1889 and was caused when the South Fork Dam collapsed. Meanwhile, the memorial itself is located in 733 Lake Road. In addition to the memorial, the site also aims to preserve what was left of the dam. The Delaware River is one of the largest free-flowing rivers without a dam or other control structures in the United States. And yet, the water quality in the river is considered exceptional. This scenic river stretches for 40 miles and forms the boundary between Pennsylvania and New Jersey. Along the path of the river are forested mountains, as well as a mountain ridge more commonly referred to as “Water Gap”. This property connects various trails and sites of historical importance in the supper southeast region of the US. It covers the natural, cultural and historical features of the properties covered along this trail route. Unlike the Appalachian Trails and other long distance hiking trails, there are numerous alternative routes and side trails to explore. The Steamtown National Historic Site in Scranton is one of the national park service sites in Pennsylvania. It is a railroad museum and heritage railroad in one. The site of the museum is the former location of the Scranton yards. The entire museum is built on a turntable and roundhouse, which are replications of the original DL&W facilities. The railroad equipment and locomotives that are on display at this national historic site were part of the collection of F. Nelson Blount. This memorial is located in 301 Pine Street in Philadelphia. The main feature of the memorial site is the home of Thaddeus Kosciuszko, who is a Polish patriot and hero during the time of the American Civil War. The memorial site commemorates the life and works of the Polish hero. When he was wounded, captured and imprisoned from his native Poland that was ruled by Russia in the late 18th century, he went to the United States. He instructed his secretary to find a small and cheap boarding house, which is the current home preserved in the memorial. This is where he spent most of his time in as he recuperated from his wounds. The site was listed in the National Register of Historic Places in 1970. The memorial site is currently open for tours; no fees or reservations are required. This scenic and recreational area is part of the stretch of the Delaware River. It starts from Narrowsburg, New York and passes along Lackawaxen, Pennsylvania, passing through five counties in total. Also included in the site is the Zane Grey Museum and Roebling’s Delaware Aqueduct. The Zane Grey Museum is being preserved after it sustained a lot of damage due to the 2006 flood in the Eastern part of the United States. Even though the NPS is the governing body for this site, most of the land within the area is privately-owned. This historical park is listed as one of the national park service sites in Pennsylvania and protects the site of third winter encampment by the Continental Army during the Revolutionary War in America. The encampment lasted for 6 months in the late 18th century. The total land area of the park is more than 3,500 acres. Over 1.2 million people also visit this park each year. Within the historical park, there are restored historic structures or reconstructed buildings. 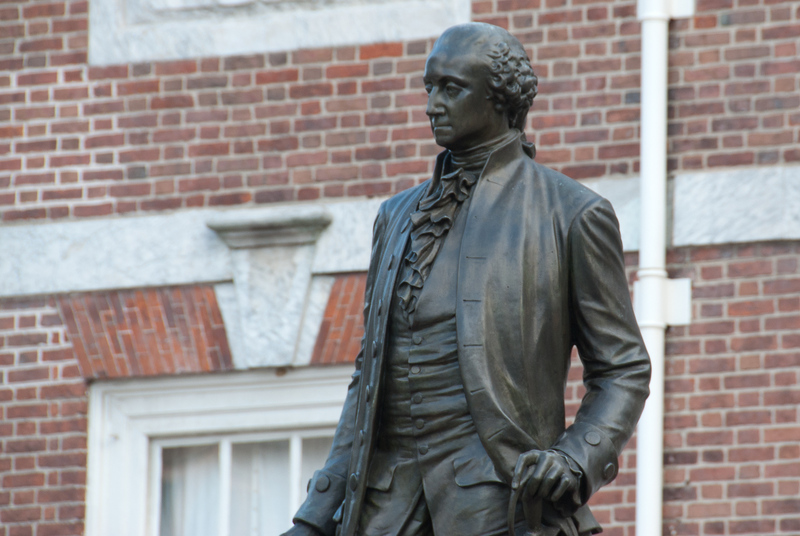 There are also monuments within the park built to commemorate the key players of the American Revolutionary War. A visitor center and museum are available on-site wherein there are showcases of artifacts and historical emblems.